Our initial understanding of due diligence brings us to an M&A transaction when a buyer or investor seeks to investigate a potential investment or acquisition target. However, due diligence was not always understood as meaning a review of a company’s legal and financial affairs prior to making a decision to purchase it. As a concept, it was first mentioned in the Securities Act of 1933 (USA) as a defense available to underwriters participating in a registered securities offering, and was referred to as reasonable investigation. In fact, the concept of due diligence found its application in an ever-expanding number of fields and callings, one of which is the fight against corruption. Indeed, more and more countries intensified their efforts to fight corruption on different levels. Many countries, which ratified the OECD Anti-Bribery Convention1 and/or the UNCAC2, implemented in their national laws the requirement for businesses to conduct properly documented, risk-based due diligence on third parties as part of anti-corruption compliance standards. Failure to comply with this may result in criminal liability. Ukraine signed and ratified the UNCAC and also adopted the Anti-Corruption Law3 which contains Chapter X fully dedicated to the anti-corruption rules for legal entities. This Chapter even refers to due diligence to be conducted by legal entities for examination and removal of corruption risks. At the same time, the Anti-Corruption Law is structured more as an element of the fight against corruption Government authorities and their officials. Possible measures which can be taken by legal entities to prevent corruption are mostly limited to internal regulations and relations between the company and its employees. Unfortunately, Ukrainian businesses are not always particularly attentive to anti-corruption measures when choosing business partners and counterparties, something which is extremely important for American and European companies. One of the best examples of national anti-corruption measures is the Foreign Corrupt Practice Act (FCPA), a United States federal law, according to which any person may be held liable for making a payment, “while knowing that all or a portion of such money or thing of value will be offered, given, or promised, directly or indirectly, to any foreign official, to any foreign political party or official thereof, or to any candidate for foreign political office”. The aim of this provision is to encourage businesses to be more careful with their contractors, consultants, suppliers, service providers and other third-party partners. For example, while choosing a service provider a commercial company needs to understand its business and reputation on the market. In case the market links this service provider with a Government authority or the Government authority recommends a specific service provider, there is evidently a corruption risk. A Resource Guide to the US FCPA prepared by the Department of Justice (DOJ) and the Securities and Exchange Commission (SEC) names such type of audit of a counterparty third-party due diligence. According to the Guide, companies should undertake some form of ongoing monitoring of third-party relationships. Where appropriate, this may include performing due diligence periodically, exercising audit rights, providing periodic training, and requesting annual compliance certifications by the third party. Similar provisions exist in the UK Bribery Act, which states that this is a “defence” for a company against an offence in case it proves that an “adequate procedure” was implemented to prevent associated persons from conducting prohibited actions. While explaining this rule in more details, the Guidance to the UK Bribery Act prepared by the Ministry of Justice dedicates an entire chapter to due diligence. In particular, the Guidance prescribes commercial organizations to apply due diligence procedures, taking a proportionate and risk based approach, in respect of persons who perform or will perform services for or on behalf of the organization, in order to mitigate identified bribery risks. The PACI Principles for Countering Bribery went even further and developed template questionnaires for conducting of internal and external due diligences, as well as provided for key risk indicators. Whenever the indicator shows a high risk, the business should conduct third-party due diligence. One of the best examples of the risk indicator is the geographical location. According to the Transparency International Corruption Perceptions Index 20164, Ukraine ranks 131st out of 176 countries. 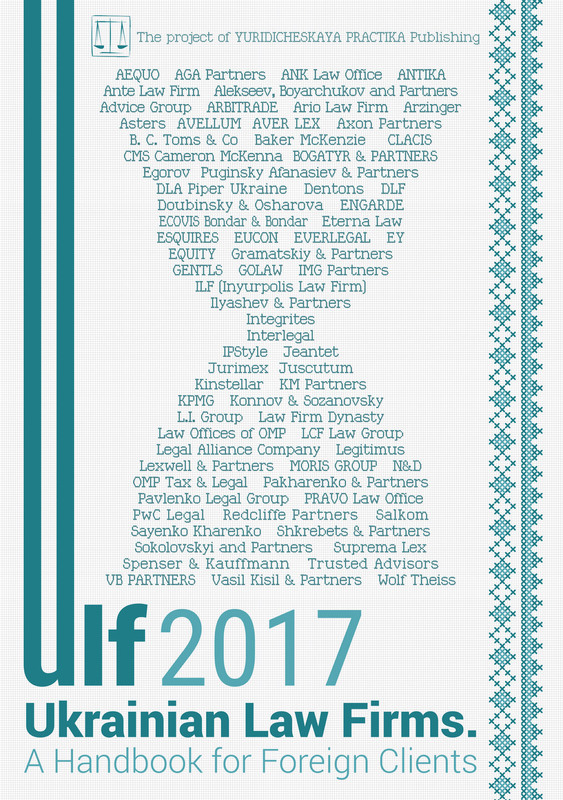 This automatically puts all Ukrainian companies into the high risk position, with the need to be additionally audited. It is worth noting that the PACI Principles also use other indexes, including the Tax Justice Network’s Financial Secrecy Index and the Transparency International’s Bribe Payers Index. Another example of implementation of the PACI Principles’ indicators is when a counterparty proposes a compound and unusual structure of compensation. For example, when the settlements under the agreement are to be done to different accounts or a part of the compensation is to be paid as a contribution to a non-profitable organization. This should serve as a ground for anti-corruption due diligence of such a counterparty. As an alternative to third-party due diligence, the PACI Principles suggest including anti-corruption representations and warranties to a contract with counterparties. This solution can be especially effective when complex assessment of all key risk indicators showed low or medium risk. Apart from third-party due diligence, guidelines to both the US FCPA and the UK Bribery Act differentiate a pre-acquisition due diligence. This type of due diligence is more common for Ukraine. However, anti-corruption measures are not always properly investigated. In fact, there has existed a tendency in Ukraine in recent years to limit the scope of due diligence to the most important assets of the target company. Naturally, the parties to the M&A transaction are willing to reduce their costs, including by skipping the due diligence in exchange for substantial representations and warranties from the seller. This, however, cannot fully protect the buyer from possible risks. a company’s main asset was acquired from the state without an action in exchange for a bribe. The company may lose the asset if its acquisition is challenged in court. — handle consequences of potential violations uncovered through due diligence by the parties in an orderly and efficient manner through negotiation of the costs and responsibilities for investigation and remediation. Although Ukraine is currently exerting a lot of efforts to fight corruption, there is still a long way to go. We are currently at the beginning of big changes in the country and society. New progressive legislation should be supported by the willingness of businesses to comply with new rules. Even if it entails burdensome changes to the business model, such changes will bring more benefits in the future as Ukraine moves closer to the EU. In particular, it is important to develop anti-corruption legislation and to make comprehensive guidelines explaining in detail the importance of both third-party and pre-acquisition due diligence. Businesses should understand that due diligence is not only an additional expense but an effective mechanism devoted to the protection of their interests. Moreover, the fact that Ukraine has not yet sufficiently improved its ranking in various corruption indices should not prevent foreign investors from developing their projects in Ukraine. It should only show the need of careful investigation of potential targets and business partners in Ukraine. 1 OECD Convention on Combating Bribery of Foreign Public Officials in International Business Transactions 1997. 2 United Nations Convention against Corruption (UNCAC) 2003. 3 Law on Preventing Corruption No. 1700-VII, dated 14 October 20114, as amended.